Oh, no, not another 4x4. Are the roads really that bad? What next: an Audi Hiawatha? 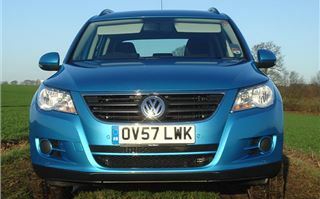 By my count the VW Tiguan numbers the 63rd SUV on the UK market. Should you be even remotely interested? Well, first there’s the badge. VW reliability might not be as legendary as it was. But that Beastie Boy medallion still cuts some sway in snobby Surrey suburbs. 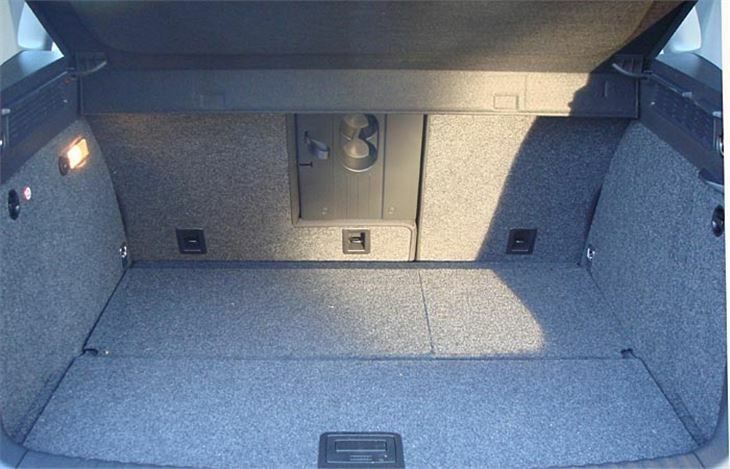 Then there’s the back seats. Slightly higher than the fronts, Freelander style, giving kids in the back a view forwards, and making them less likely to chuck up down your neck. These seats are also supremely comfortable, centre rear is fine for adults as well as kids and legroom is generous. Engines aren’t too shabby, either. 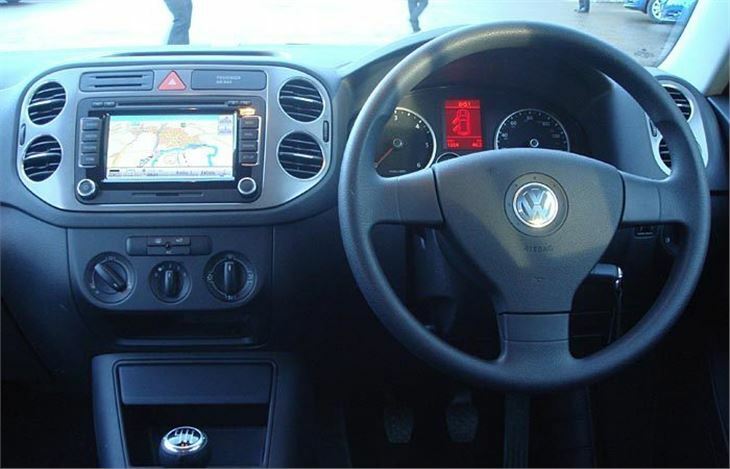 VW’s standard 140PS 2.0 TDI, and its interesting 150PS 1.4 turbo-supercharged petrol. 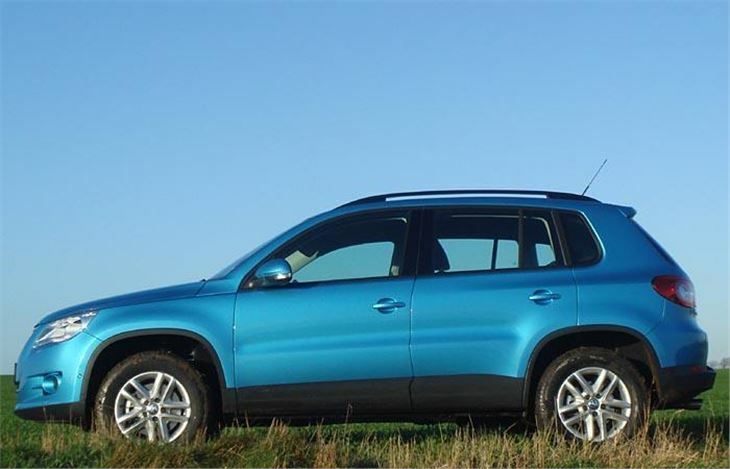 There’s a diesel automatic, which there isn’t with the CR-V, RAV-4, C-Crosser, Outlander or 4007. This is a real torque converter 6-speed auto rather than a pseudo auto or a DSG. It’s not too bad in the mud, either. At least the ‘Escape’ version with shovel front and sump shield isn’t. Especially with the autobox, because pressing the ‘Off Road’ button slows its throttle response, activates the hill descent control and increases the sensitivity of the cross axle braking system. 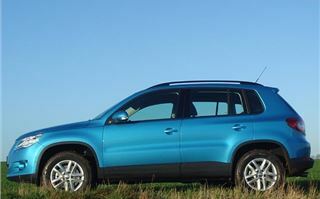 It works very well, making the car a genuine off roader, closer in ability to an X-Trail than a RAV-4 or a CR-V. When you step out after your mud-bath, your trousers don’t get claggy, because the doors very cleverly seal the sills against it, leaving them completely clean. There’s a clever new optional hard disc satnav that can be programmed to take a circular route, or even to remember a route you have taken. 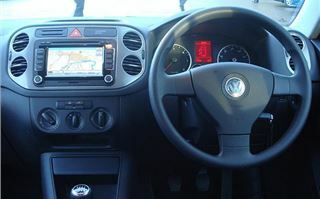 The £2,080 price of that includes a 6 disc autochanger MP3 compatibility, AUX socket and rear view camera with a shape superimposition system making it easy to use. 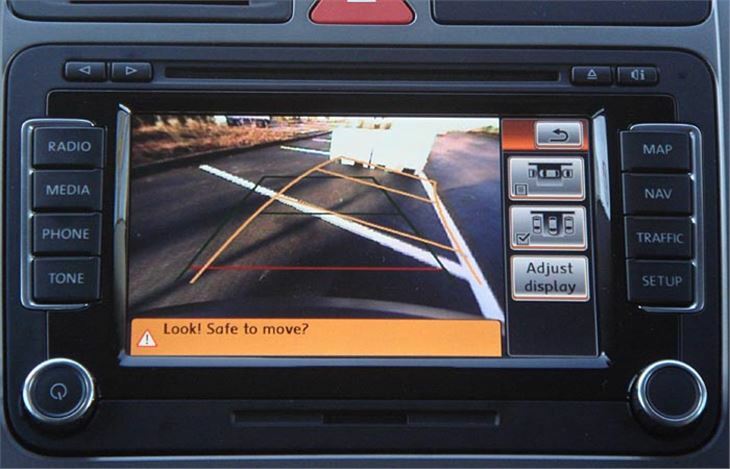 As well as that, for £450, you can have ‘Park Assist’ which not only provides front and rear parking sensors, but also actually parks the car for you. 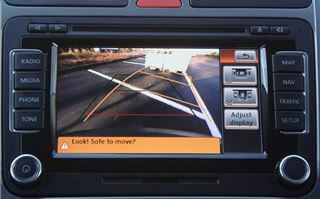 All you have to do is press the Park Assist button and drive slowly past a parking space. The system then tells you when to stop, put it into reverse, take your hands off the steering wheel and it automatically steers the car into the parking space. You still have to press the accelerator and brake, but it eliminates all error of judgement which most of us have frequently been guilty of. The parking brake is electric, clicks on at a pull of the switch, and off again automatically as soon as you start pulling away. While the hill holder automatically holds the car on a hill without having to brake at all. All the other bits and pieces are fairly well covered in the specs section. But I’d better warn you if buying an ‘S’ to specify the £210 leather covered multifunction steering wheel because the standard wheel is a nasty, hard plastic affair, horrible to hold. 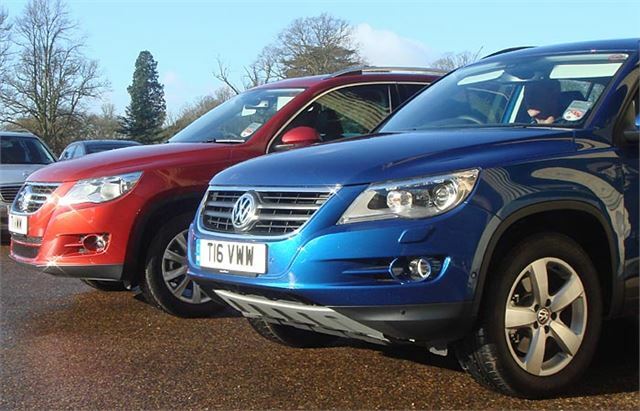 Out on the road the Tiguan is much ‘firmer’ than a CR-V. More of the ilk of an X-trail, C-Crosser, Outlander or 4007. The hard seats at first don’t feel very comfortable, but once on the move feel fine. Handling is assured, though the steering doesn’t offer much feedback. 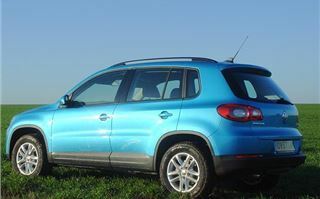 The engine suffers the usual VAG 2.0 TDI catapult effect at around 1,700rpm, but will trickle down to around 1,200rpm. 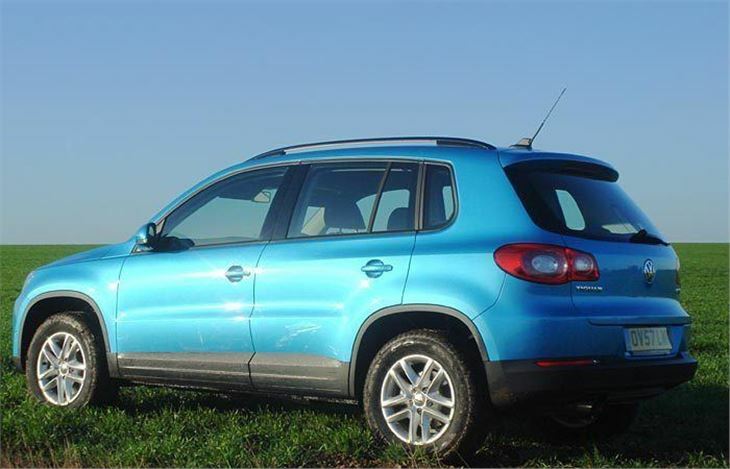 Out off the road it did very well in axle articulation demonstrations, dealt with some deep and glutinous mud, ascended and descended steep, muddy inclines and generally coped with everything the average owner is likely to throw at it. Anyone with a pony, caravan or boat will be very pleased with the special anti-snake towing kit, which comprises a foldaway towball and electronics that detect a trailer is being towed, sense any problem and automatically brake alternate wheels of the car to straighten things out. 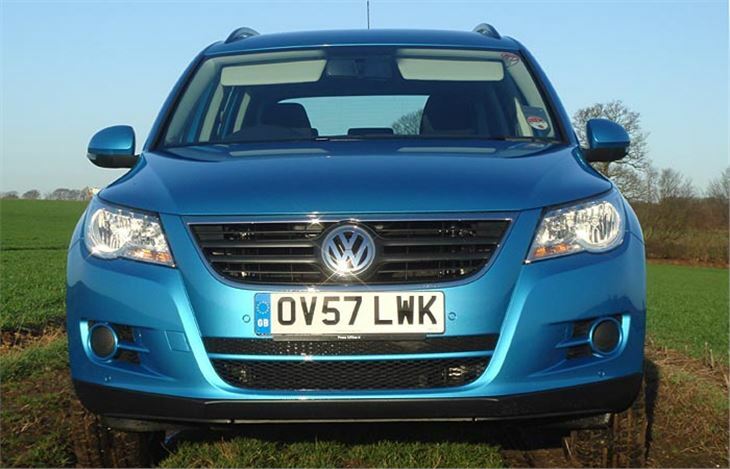 In conclusion, the Tiguan may be a late arrival to the niche, but it comes with plenty to commend it. Most importantly apart from the badge, it will go off road, and there’s a diesel automatic option.